[SOLVED] Is this from infistar ? 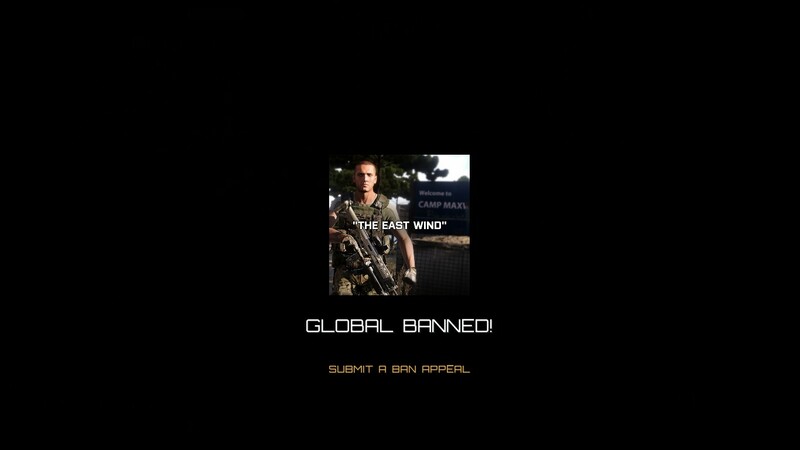 The "submit a ban appeal" button leads to a lmgtfy.com link and searches for "arma 3 global ban 'my uid' "
No, this is NOT a global ban from BE, i can assure that. I don't know if this is from infistar or not, but if it isn't, from where is this thing ? I'm also getting kicked from certain exile servers. I'm not getting neither kicked nor this ban screen from any other servers that don't use exile, even if they have infistar. Sorry if this is the wrong place to post it, pretty much the first time using the forum. And of course, not like anyone is going to really believe, i didn't cheated, and i didn't duped or used any kind of bugs/glitchs/exploits, far as i know i haven't done anything that could lead to a global infistar ban as well. what is your player uid or BE guid ? Well, i use it very often when i'm messing arround in the editor, i must have forgot it loaded, weird that the server didn't kicked me because of that anyway. Is there a chance for an unban ? I know i can't prove my words so you know. And if u are thinking "how you got in the server with that if it has a kick function for mp games?" i edited it since i use it when i play coop missions with my friends on lan servers. If u need it to check by any chance let'me know. you used a cheat tool for a single player thats low so whats to say you will use a cheat on mp.
" Well, i use it very often when i'm messing arround in the editor " I said i use it when playing arround in the editor, it has various functions such as access to arsenal and zeus, virtual garage and other things as well, if i'm not mistaken i can even execute scripts with the game running, so it comes out to be a tool for developing missions. And i use it in coop games to mess with my friends and as a little administrative tool. It's easier than setting up an actual admin menu, since most of the free ones don't work for all game modes and/or are poorly made (bugs etc). Let's put it that way: Cheating in multiplayer affects other players, i don't like the idea of ruining someones game for fun, because it doesn't looks like fun to me. Again, not trying to prove my innocence because i can't, but don't come here saying i will cheat in multiplayer because i modify the game at my will in singleplayer/on my private(lan) server. It's the same as saying i'll shoot someone irl because i shoot people in video games, even though it's an extreme comparison.